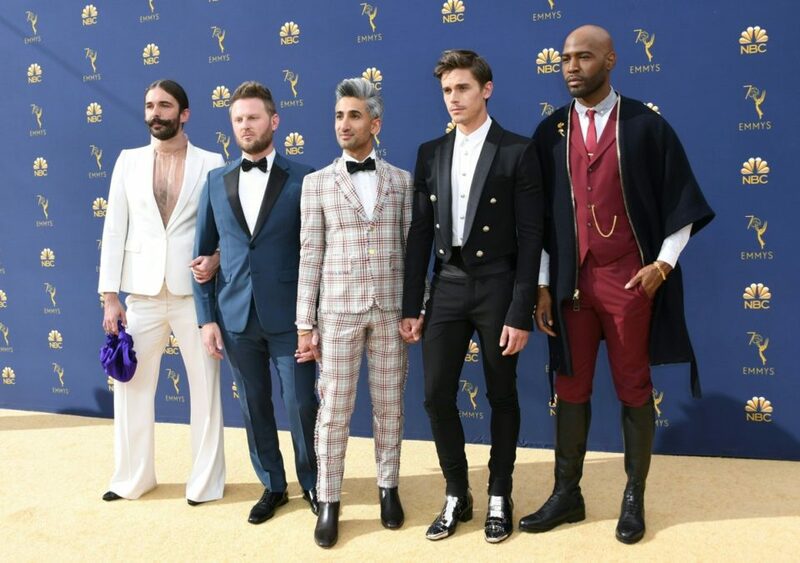 The Prom danced its way onto Broadway on November 15 and has been wowing audiences ever since, including the cast of Netflix's Queer Eye. Antoni Porowski (Celebrity Autobiography), Jonathan Van Ness, Bobby Berk, Karamo Brown and Tan France appeared on The View on November 28 and discussed their thoughts on the celebrated new musical. When the men were asked their opinions on The Prom's Macy's Thanksgiving Day Parade performance, which included the program's first LGBTQ+ kiss, Porowski quickly defended the show saying, "For a show like this to normalize that [LGBTQ+ relationships], it's only a good thing and let's show more of it." Porowski went on to say that it's important "to teach people through the arts, especially on Broadway where families come from all over the world." Watch the full clip below, beginning at the 6:50 mark, and be sure to see the musical that has the Queer Eye stamp of approval.